Saturday, February 13, 2016. 7pm. Jet Hall "Saturday Night Blues" Series. 746 Barton St E, Hamilton, ON. Friday, August 21, 2015. Classic Rock & Rhythm N Blues Nite at The Galley Pump, 365 Wentworth St. North, Hamilton. Special guest: Ragg Topp. GREAT FOOD. $10 at the door. Doors 7pm. June, 2015. Hamilton Blues Society Fundraiser for Bill Watson. Jet Hall, Barton Street East, Hamilton. 4pm. Boxing Day Extravaganza. December 26, 2014. Corktown Tavern, Hamilton. 8pm. November 1, 2015. Hammer Bluesfest (w/Hammer Blues Band). Columbus Hall, Queenston Road. October 10, 2014. Pop-Up Concert at Juno House, Lister Block, downtown Hamilton. May 25, 2014. 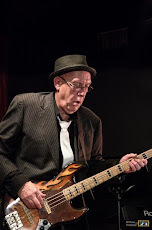 Hamilton Blues Society Showcase. Columbus Club Hall, Queenston Road, Hamilton. 8pm. February 12, 2014. Video shoot, Porcelain Records, Hamilton, Ontario.